This entry was posted in Beauty, hair, tutorial and tagged hair dye tutorial, hicolor, hicolor turorial, loreal, loreal hicolor, red dye, red dye tutorial, redhead, sizzling copper, sizzling copper tutorial. Bookmark the permalink. I’m trying to go a lighter copper red with my hair. 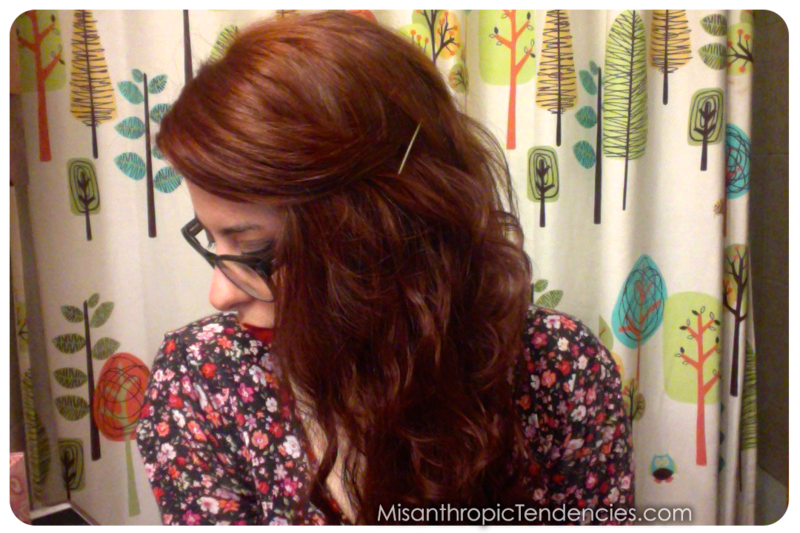 My hair is completely unprocessed except for some henna I used last month. I have dark brown hair as well. Do you think that if I use a 40v developer I will get a lighter copper look? From everything I’ve read about developer, it seems like the higher you go the lighter your hair will be after you dye it. So, theoretically speaking, your hair should be a lighter copper color than mine if you use 40v developer when I only used 30v. The only reason I decided to opt for 30v instead of 40v when I did it myself was because a few of my hair dresser friends let me know that using anything above 30v at home is a bit risky because you can really damage your hair if you screw up. 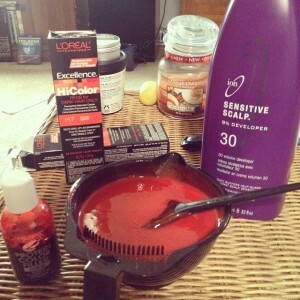 If your hair is unprocessed and healthy now then your hair may very well be perfectly fine after using a 40v developer! And with using “Sizzling Copper” you should get a lighter copper look 🙂 Try it out and let me know how it turns out! Good luck! Aw, thank you :)! You should go for this color yourself! No bleaching required with the kind of dye I used and my hair retained its health! Gahh…I love this color!! I have been searching for someone’s before and after of the L’Oreal HiColor in Sizzling Copper, because I wanted to see how successful someone else was with it first, and after seeing this I am so excited to go buy it! Glad I could help!! 😀 Let me know how it turns out for you! Was your hair dyed dark before going red or was that your natural hair color? Lovely! Looks great. Been looking for videos and pics with sizzling copper and nothing until this one. You hair looks fab and i will definitely go for this colour over the magenta.